If the word ‘crafts’ conjures up images of the W.I, matchstick cathedrals and felt purses, think again. Humans have been making functional, beautiful objects for centuries; knives, pottery, jewellery made from organic materials, but the roots of the modern craft movement can arguably be accredited to the Arts and Craft Movement which began in England in the 1860’s. This movement focused on the connection between art, nature, and morality with the core belief that good moral art was nature expressed through man. Today, crafts and craftsmanship have evolved to take on a modern relevance however, the natural roots of the craft movement remain and have manifested in to something fascinating. COLLECT returns to London’s Saatchi Gallery this February as the only gallery presented art fair dedicated to modern craft and design, providing a unique opportunity to discover and invest in stunning creative works produced in the last five years by living artists. Natural materials including salt and wood have been used to make beautiful pieces showcased alongside furniture made by using a robotic arm. Wandering through any of the heavily celebrated 40 galleries, one can expect to rub shoulders and share an eyebrow raise with some of the worlds most eagle-eyed private and institutional collectors, from the likes of the V&A to the British Museum. The creative passions of over 400 artists have been carefully selected by an independent panel of experts and will take over the entire Saatchi Gallery for four days. 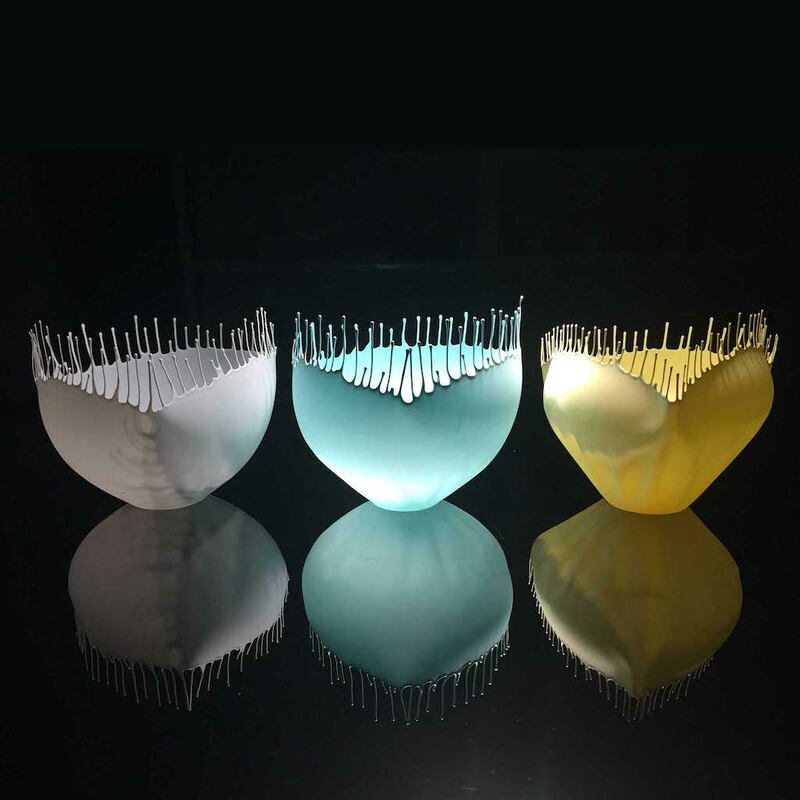 COLLECT was launched by the inspirational pioneers of originality the UK Crafts Council in 2004, an organisation which champions all things craft and how the concept of the creativity in ‘crafts’ can merge in to other artistic disciplines. The items on display will pique the interest of any lover of creativity with pioneering experimentation in natural materials and processes, hearkening back to the original Arts and Crafts Movement. 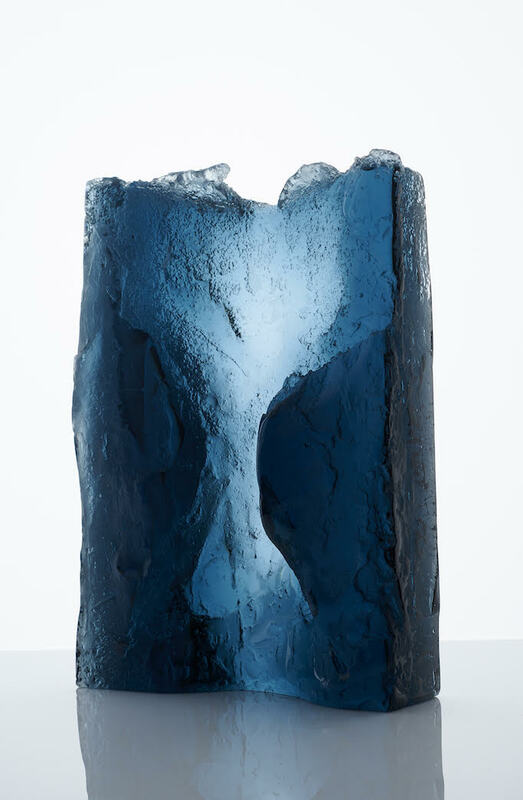 ‘Lost Ice Process’ with salt erosion’s by glass sculptor Joseph Harrington focuses on rugged coastlines as inspiration for his work. He explores erosion as a ‘spectacle of discovery and generation of form’, using salt to sculpt ice as a one-off ephemeral model from which to take a direct cast. Equally original and enchanting is the body of work produced by Umberto Dattola ‘Invisible Cities’. 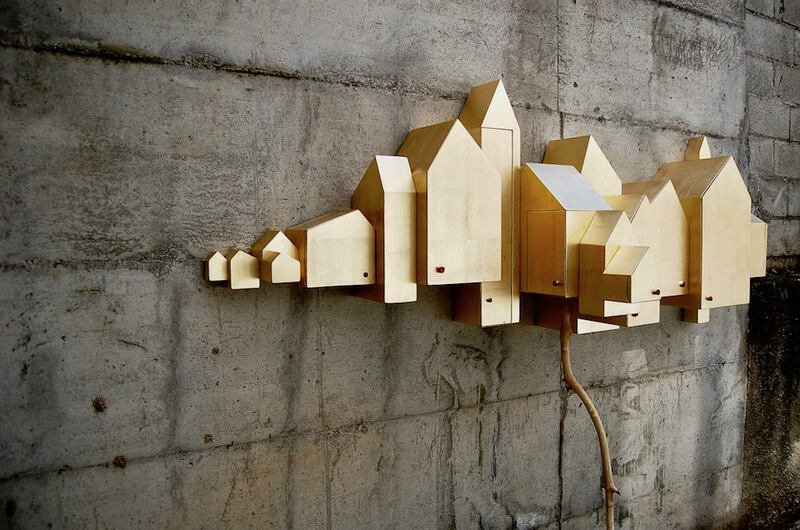 A series of house shaped structures made using natural ash branch, fir plywood encased in gold leaf, the pieces explore the ‘inner space in our souls…an invisible city that is the yardstick to our taste about spaces, places or simply objects.’ Dattola references the book ‘Invisible Cities’ by Italian writer Italo Calvino which uses short prose poems to describe 55 fictitious cities, exploring the general nature of human experience. Continuing the strong theme of beauty in nature, Xiaodong Bian brings his stunning unique designs with his collection ‘Cocoon’. Using fine eggshell porcelain to present the moment that the silkworm emerging from the chrysalis, his pieces are then fired in a kiln and painted. The result praises the beauty of nature and regeneration. As well as showcasing beautiful works of art from established living talent, COLLECT is equally an exciting display cabinet for new emerging talent, offering a fascinating glimpse in to the future creative landscape. COLLECT Open is a fantastic and unique opportunity for 15 boundary pushing individuals to have their work displayed in one of the most prestigious environments. This exhibition runs at Saatchi Gallery from 28th February to 3rd March and is a truly inspiring collection. The original roots of craft creativity are honoured and modernised, resulting in a showcase that is filled with intrigue, modernity and tradition.